We pride ourselves in helping our clients to be successful. Ultimately their success is ours. Every one of our designs is unique and backed by years of experience in studios around the world. We understand the way you create, work, and flow. Rooms, like people, are different. Each one has its unique characteristics and challenges. We use the latest scientific tools and years of experience to predict the behavior of each individual room and achieve the best isolation and treatment results. We work each acoustic challenge with the same fervor, large or small, every project receives the same attention to detail and consistency. Each room is accurately modeled and built in virtual 3D, piece by piece, before anyone so much as picks up a hammer. We test and guarantee every room before it is built. We are available to our clients with accurate, fact-based consulting, day or night, and scheduled to suit their needs and requirements. From before the project begins to long after the project is finished. Please subscribe the Youtube channel if you like it! John is an Acoustic Designer providing a design and build service for the music industry. 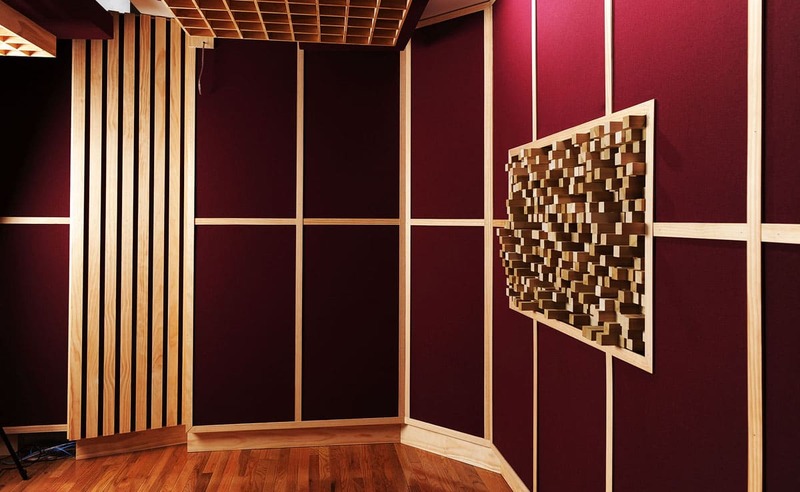 Designing acoustic solutions for private and professional recording studios, home theatres, Dolby Atmos rooms and critical listening spaces since the 1980’s. Johns’ high standards guarantee client satisfaction and confidence, founded from his experience and intimate knowledge as an acoustic designer and the required industry standards. We offer a vast range of services to accommodate the many different scenarios that we encounter on a daily basis. 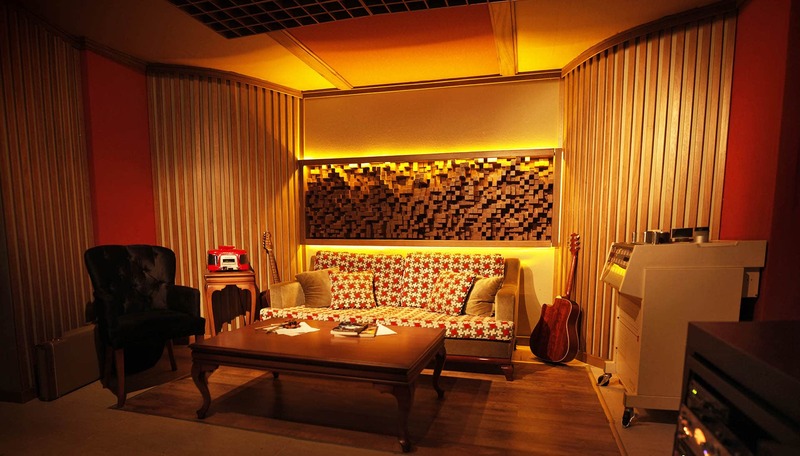 Each acoustic design application has it’s own specific challenges and unique solutions. This is why we approach every project differently because one size does NOT fit all. 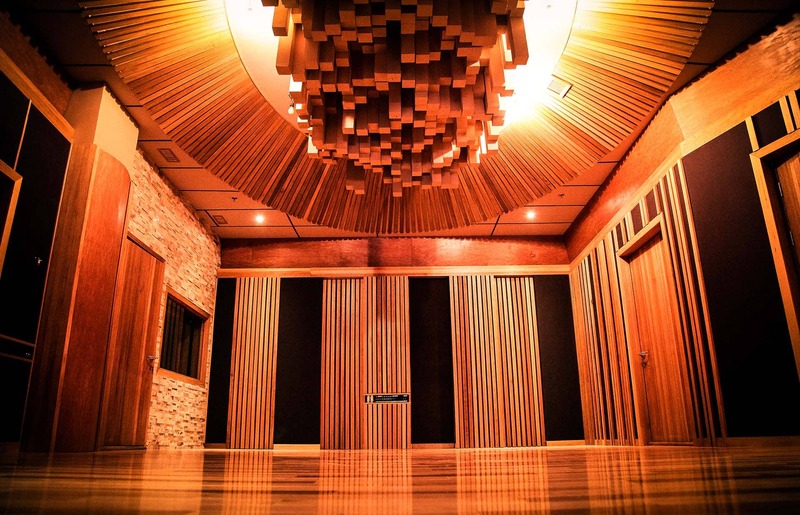 World-class, full-service acoustics and audio/video design company specializing in recording studios and critical listening/viewing environments. We are proud of our work and our passion shows. 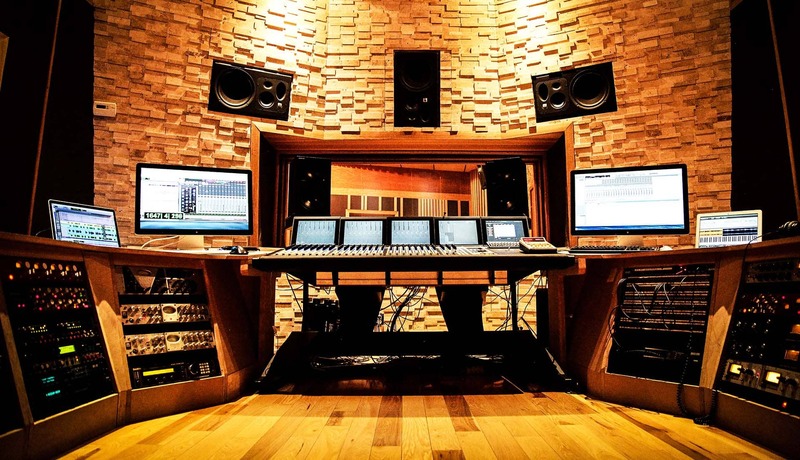 John H. Brandt Acoustic Designs has been full time in the music industry since 1972 and designing/building private and professional studios since the 1980s. Our high standards guarantee client satisfaction and our confidence is founded in our experience and intimate knowledge of industry standards. With a portfolio covering more than 40 years in the industry, 25 years of experience in the field and over 200 high-standard and World-Class audio/video facilities built. We offer a vast range of services to accommodate the many different scenarios that we encounter on a daily basis. Each situation has it’s own specific challenges and unique solutions. This is why we approach every project differently because one size does NOT fit all. We plan Professional Music Studios from the ground up. 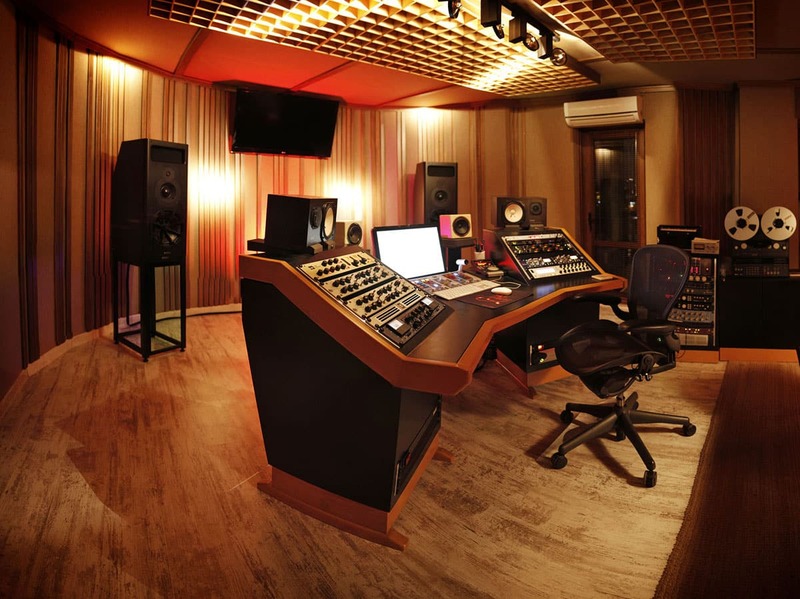 Usually meaning commercial facilities, these include, live recording and rehearsal areas, critical listening rooms (mastering/mixing/production), among others. We also carefully plan all the support aspects of a facility such as: electrical installation, HAVAC, living areas, load-in access requirements (loading bays/doors), storage, offices, machine rooms, handicap access, rest rooms, etc. Similar to Professional Music Studios with the addition of stage lighting, screen selection options, movable partitions, etc. Just because it is in your home, doesn’t mean that it won’t be professional grade. Many professional composers, musicians, and producers prefer to work out of their homes with great success. The purpose of these rooms is that the idea or presentation is understood. In our meeting rooms, every seat is seen and heard as though the meeting were one-on-one. The key to a great performance and experience is often in the space itself. All of the room components; seating, view (from both the audience and performer perspective), ensemble of the players, and the interaction of the audience create a memorable performance and are the hallmark of a well designed hall. Students score higher when they can focus on the material being presented. Classroom acoustics is critical to educational goals. Noise and equipment sound isolation. From private home to large industrial facilities. With us you’re in good hands. Our experience and knowledge make us a leader in remote services and our passion keeps us on top of the game. We won’t rest until you’re 100% satisfied with the results. Each and every design is unique. We uniquely tailor our designs to our clients' needs, taking into consideration many aspects such as, individual style, workflow, available areas, budget, etc. We spend hours perfecting our designs, improving and simplifying to ensure that all the pieces are easily built by your construction team. All our designs employ a continuous theme that sets us apart from the crowd. We have developed our own design criteria built upon solid science, past experience, high-standards adoption and continuous improvement. Precise testing is done before and after project completion. We rely on repeatable and accurate testing techniques to guarantee the quality and performance of all spaces we design. Acoustic testing is done after isolation walls are built and before and after treatment is installed, ensuring that in the end specifications are fully met. We provide continuous consulting support throughout the entire project. Utilizing the latest in communications technology, we virtually transport ourselves to the clients' home, office and work-site for consultation and build inspections. We use free applications such as Skype, Google Hangouts, Facebook Messenger, among others. We offer plans to accommodate a very large variety of budgets. We help you work within the restraints of your budget and have many options available, from hourly consultation to per-project billing. Our home studio budget acoustics design package starts at $800 USD. All our designs are faithfully modeled in 3D. We use the latest AutoCAD 3D technology to model all our designs. We rely on experience, testing data, individual analysis and calculation to bring you the optimal design and layout relative to individual needs and budget. We also accept any reference drawing and then turn these ideas into a full-size 3D model that can be referenced for the build phase. Teamwork is a crucial aspect of our culture. It's our priority to be directly involved with all entities participating in the project. We consult with architects, structural engineers, builders, electricians, and others on a daily basis if necessary. Whether we lead a project or consult only, we value the knowledge and expertise of the team and work together to make the project a success. We do not sell any other product neither we receive any kick-backs for our recommendations. We only endorse products whose specifications meet the current build requirements, and we will only recommend products with verified testing data. We take every case personally. We get to know you, your passion/your music, and the way you love to work. Because if an artist is not comfortable he can't be creative, we will help you bring your dream into reality for you to enjoy for years to come. If you wish to learn more about our Design Philosophy and Project Workflow click the links. Check below videos featuring John Brandt and his work. "John is amazing. You would be crazy to use anyone else." "Yeah, I actually found a guy on Gearslutz believe it or not, it's the last thing in the world I expected. His name is John Brandt and he's been absolutely phenomenal." "John is a great guy! My studio construction was a 2 years long project and he was there all the time to support me. In the end the results overcome vastly my expectations." "Loving my room big time! And doing some great projects out of it! Thanks again for the masterwork!!" "Looking forward to working with you again, this room exceeds all my expectations."